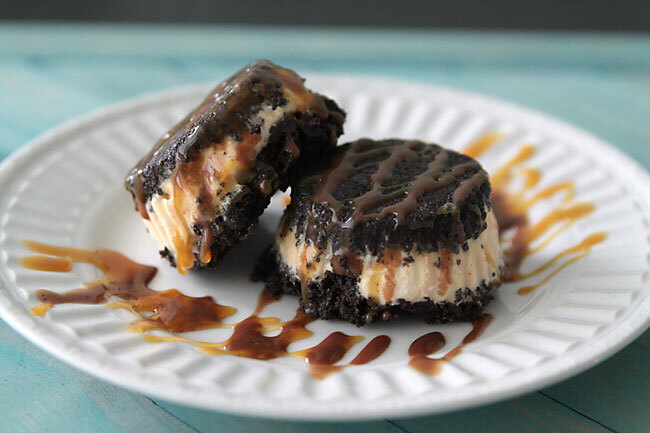 Today I have a secret recipe for a yummy dessert that used to be on the menu at TGI Friday’s After a little trial and error, we’ve unlocked the secret to this sweet treat so now you can enjoy it any time you like. The best part about this dish is that it couldn’t be easier to prepare. This is typically made with vanilla ice cream but feel free to get creative and use your favorite flavor. Take ice cream out of freezer to soften. Mix Oreo crumbs and butter to make crust. Press 1 T crumbs into cupcake liner sprayed with nonstick spray. Place 1/4 Cup ice cream on top of crust and smooth down. Top with 1.5 T crumbs to make top crust. Cover with plastic wrap and freeze two hours until firm, then remove cupcake liner and top with hot fudge and caramel. Today’s secret recipe (below) is for a tasty sandwich served at TGI Friday’s. The Tuscan portobello melt is a hearty meat-free sandwich that is packed with fresh ingredients. Roasting the mushrooms, onions and tomatoes really elevates the flavors in this sandwich. Topped with two kinds of cheese and then grilled to perfection on sourdough bread. Roast the Vegetables: Preheat broiler to high. Combine the mushrooms, onion and tomatoes with with oil and vinegar, and a few pinches of salt and pepper and thyme in a small roasting pan. Place the mixture under the broiler for 5 or 6 minutes or until the vegetables begin to brown. Stir halfway through during the cooking time. Build the Sandwich: Preheat a large saute pan over medium heat. Lightly brown one side of each bread slice and build the sandwich on the browned side of one slice. Lay a slice of provolone cheese on the bread. Spread mustard on the cheese, and then spoon the roasted vegetables onto the cheese. Place the slice of Jack cheese on the vegetables and then top the sandwich with the brown side of the bread facing the inside of the sandwich. Grill the Sandwich: Spread a little butter on one side of the sandwich, then place the sandwich, butter side down, onto the pan. Spread a little butter on top of the sandwich. Grill for 1 to 2 minutes or until browned. Flip the sandwich and grill for another 1 to 2 minutes until brown. 1) Discover Simple Secret Recipes for Mouth Watering BBQ. 2) From Grape To Glass – Make Your Own Wine! Today’s secret recipe is for a great appetizer served at T.G.I. Friday’s. If you’ve never had the pretzel sticks with beer cheese dip, then you don’t know what you’re missing. Fresh baked pretzel sticks are served with a hot cheese sauce flavored with beer. These pretzel sticks are great to munch on when you have friends over. Proof the yeast by combining it with 2 tablespoons warm water and 1 teaspoon sugar in a small bowl. Once the yeast begins to foam and bubble, it is ready to use. Transfer the yeast mixture to the bowl of a stand mixer and add the flour and salt ; and begin to mix, using the dough hook. Slowly stream the remaining 1 cup of warm water into the flour; a ball of dough will form. Continue to mix for another minute to knead the dough. Grease the bowl with vegetable oil, place the dough ball in the bowl, cover with a towel, and let rise for approximately 35 minutes. The dough should double in size. Four a cutting board and place the dough on the board. Knead and then divide the dough into 16 portions. Roll each portion into a cigar shape and use a sharp knife to cut 2 or 3 slits into the top. Cove with a towel and let rise for another 25 minutes. Brush the pretzels with the egg white glaze and sprinkle generously with coarse salt. Bake until brown, about 25 minutes. Transfer to a wire wrack and let cool for 10 minutes. Serve warm or at room temperature. 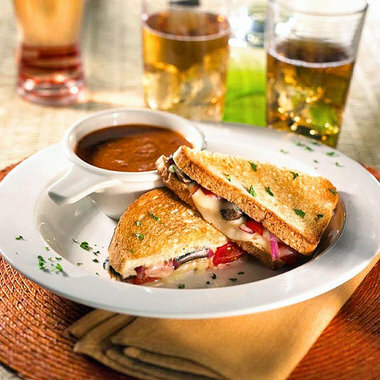 Chop the cheese into 1 inch cubes and place in a small saucepan with 4 ounces of beer. Warm and stir over low heat until the cheese has melted. With Christmas less than 24 hours away, I have a yummy secret recipe (below) for a festive cocktail served at T.G.I. Friday’s. This frozen candy cane cocktail is loaded with cool peppermint flavor. Enjoy a cup of this icy refreshment while you sit by the Christmas tree. Printer Ink & Toner Sale: 15% OFF Any Order! Combine all ingredients, except grenadine, in a blender. Blend until smooth. Swirl glass with grenadine from bottom to top. Quickly pour the drink. 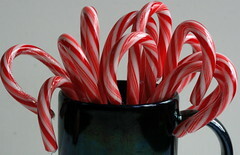 Top with aerosol whipped cream and a large peppermint candy cane.